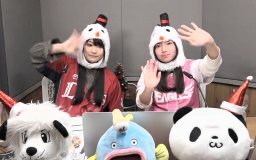 This was the 168th broadcast of Homerun Radio Patto UP, a live broadcast by Yuuki Kana and Eino Airi. 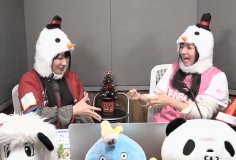 Since it was Christmas, Kana and Airi were wearing snowman hoods. Airi said that she cut her hair 10cm, but nobody noticed. She was very disappointed that nobody noticed. For the Kana and Airi contests, there were presents (foods and drinks). 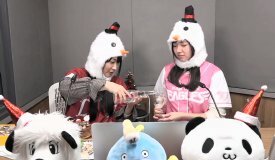 Kana won all of the foods and Airi won just one drink. 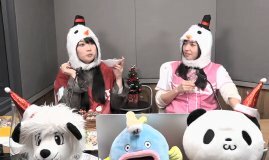 This was the last broadcast of 2018, and the next broadcast will be on 1/1 (a 30 min prerecorded video).